They are one of the most influential bands with one of the most distinctive sounds of the 90's era. 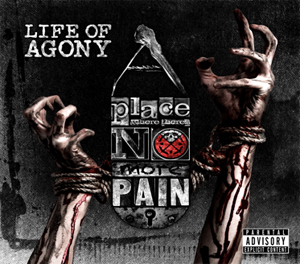 A whole decade has gone by since their last album but now, LIFE OF AGONY are finally back! Brooklyn's hard rock legends LIFE OF AGONY have signed a worldwide record deal with Napalm Records. LIFE OF AGONY returned to the stage and performed on multiple festival dates in Europe over the summer of 2014. The famed River Runs Red line-up, of vocalist Mina Caputo, guitarist Joey Z, bassist Alan Robert and drummer Sal Abruscato were excited to take the stage together once again after a three-year hiatus. And now the band has come back to stay, as they are about to continue touring the world and release their 5th studio album, the first in over a decade, since 2005's Broken Valley. Now the band unveiled the first details as well as the cover artwork for their upcoming album, titled A Place Where There's No More Pain, set to be released on Napalm Records in 2016!